When you’re writing about legendary tennis racquet, you cannot forget one of the so called “holy grails” and that is the Wilson Pro Staff 85. Played by Pete Sampras and Stefan Edberg it is one of the best racquets of all time. The Wilson Pro Staff 85 is not the correct naming, but I think it simplifies it a bit. 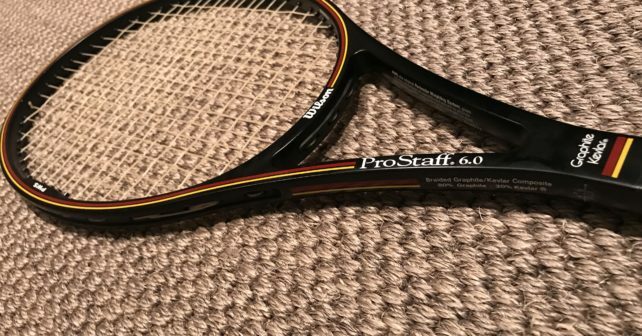 The racquet is actually called Wilson ProStaff Original 6.0 and was released in 1984. Originally manufactured in Chicago, Illinois and Saint Vincent and the Grenadines, the Pro Staff line was Wilson’s answer to the Prince Graphite, Yonex Rex series, and the Dunlop Max 200G. Another famous players that started out using the Wilson Pro Staff Original 6.0 is Roger Federer and that’s why Wilson have released the tribute version called Wilson Pro Staff RF 85 . It is supposed to have the exact same specs as the old version of the Wilson ProStaff so if you already have a couple of old ones in decent condition, you might not need this one. 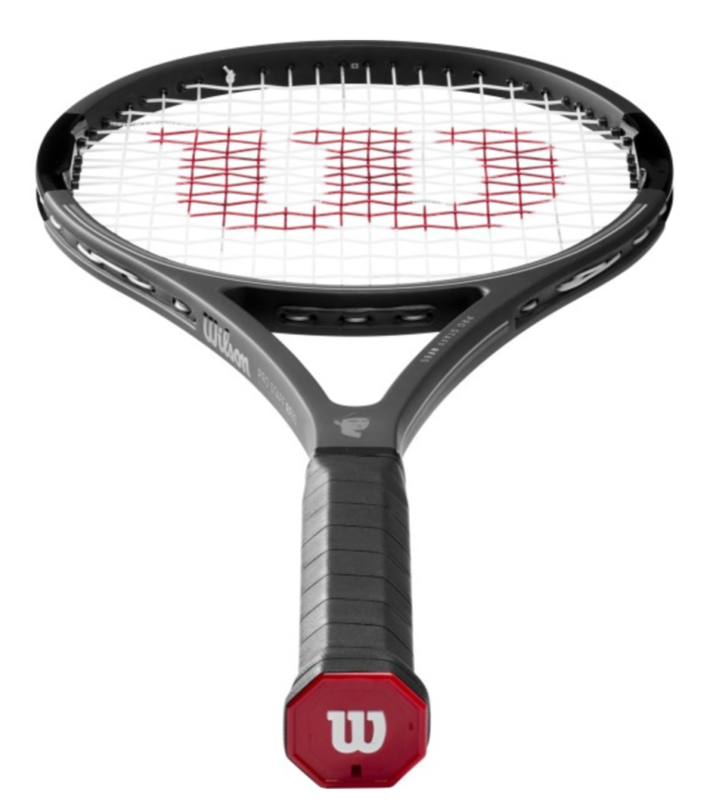 But if you haven’t tried the Wilson ProStaff 85, you HAVE to try the racquet at least once. What is so good about the Wilson Pro Staff 85 then? Well, when you play with a 85 sq inch racquet you really feel the sweet spot which in likelihood makes you focus even more on hitting it or “not shanking”. It also has such a nice, solid feel when you hit the ball. The ball “pancakes” on the string bed and the tiny head size offers excellent control, while the heft of the racquet creates all the power. It surely is an almost religious tennis experience when you’re “on” your game and play well with the racquet. On a lazy day with bad footwork it isn’t the most forgiving however and using it in serious tournament play against players who hit with massive top spin might not be the best idea. The Wilson Pro Staff 85 is an excellent racquet to bring out when you want to bring your technique back to basics and play aggressive tennis where your feet move towards the net like a heat missile. Playing serve-and-volley tennis with the Wilson Pro Staff 85 makes you understand why it was such as good match for players like Stefan Edberg and Pete Sampras in the first place. The frame composition consists of 80% graphite and 20% kevlar. The high percentage of graphite allows for a ‘softer’ feel, while the kevlar provides more strength in the frame. Also unique is that the graphite in the Pro Staff Original is braided. While more modern racquets consist of many pieces of graphite spliced to the framework of the racquet, the braided graphite construction of the Pro Staff Original was such that only a single, long piece of graphite is used, which is then ‘braided’ around the frame. This created more strength and stability in the racquet, while increasing the weight of the frame. I demoed the new RF 85, very decent fun racquet. very proper racquet. Solid, flexible. Muted. Head size is all mental. Though more than any other 90 I play with some of the balls were landing a bit too short to my liking, but not bad. I wouldnt buy it for that price though especially if im not gonna match play with it. But nice to have overall. The RF face is just too much, I dont need to stare at his head all game, a simple RF logo would have more than sufficed.